So-called Bible “experts” say that September 23, 2017 will witness major events in fulfillment of Revelation 12 and other prophecies. But, is this true? What will happen on September 23, 2017? Will the world come to an end? Will the US suffer economic collapse? Will Jesus bring human history to an end? Will WW III begin? 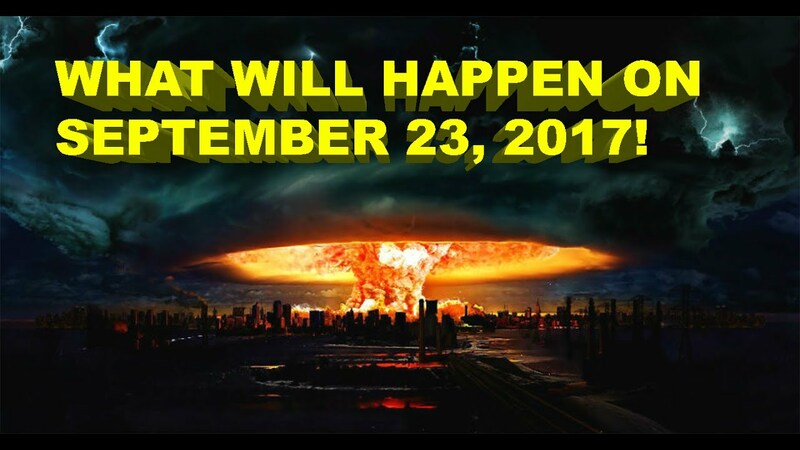 Fear mongering Bible prophecy “experts” have been predicting for months that major Bible prophecies will be fulfilled on on September 23, 2017. But, is this true? does Revelation 12– which is the key passage being used by these false teachers– predict the end of the world? The answer is an unequivocal NO! Here we are now, as I type this on September 24, 2017, and the world did not end yesterday. The US economy did not collapse. Planet X did not hit the earth. In sum, NOTHING that the fear mongering false “prophets” said would happen happened. Once again, they failed. Now, remember my prediction. I predicted that a rapture is going to occur, in the weeks and months following September 23, 2017. Follow me here. On YouTube, there are countless videos predicting the fulfillment of Revelation 12 and the end of the world, WW III, the collapse of the US economy, etc., etc.. Lamentably, many of those videos have gotten literally millions of views! But, those predictions of the dire events to fulfill Bible prophecy will fail. Every one of them! So, what will happen? I predict that there will be a massive “rapture” of many of those videos! Many of them (not all) will suddenly “disappear”, they will be gone, removed by their producers who don’t want the continuing embarrassment of those videos to reman visible. So, yes, there will be a “rapture” following September 232, 2017! But, it will not be a rapture of the church. It will not be the sudden disappearance of millions of believers. it will be, in the weeks and months following September 23, 2017, the disappearance (removal) of lots and lots of videos that predicted end time events would take place on September 23, 2017– and they did not happen! What will also undoubtedly happen is that those same false teachers, at least many of them, will wait awhile and then, they will make new videos, setting new dates! They will say that they made some “slight miscalculations” in their previous predictions, (if they even mention their failures at all) but NOW, yes, NOW, they have it right, and you can trust them on this, they will say! The fact is that September 23, 2017 has nothing whatsoever to do with the fulfillment of Bible prophecy. Nothing! All Bible prophecy was fulfilled at the end of the Old Covenant age at the destruction of Jerusalem in AD 70 (Luke 21:22). Be sure to check out my videos on why September 23, 2017 is not and cannot be the fulfillment of Bible prophecy. Here is a link to the first of three videos. I am happy to report that as I type this, the first of my three videos has now exceeded 58,000 views. People are watching! Here is a link to video # 2 and video #3 in my three part series. 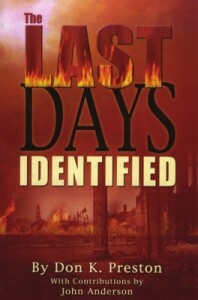 Be sure to get a copy of my book, The Last Days Identified, which proves — from actual Bible exegesis – that we are not in the last days, and that the end is not near. If you order this book and mention that you saw the offer on YouTube or Facebook, I will pay for shipping and, I will include a free copy of my book, Can God Tell Time? Be sure to mention this offer when you order!